Back in June 2013, a survey went out to local wedding pros to get their opinion on what they wanted to see in a local wedding blog. And with now one month since our official launch, we are now in 2014 with a whole year of possibilities ahead of us, especially after reviewing blog stats. 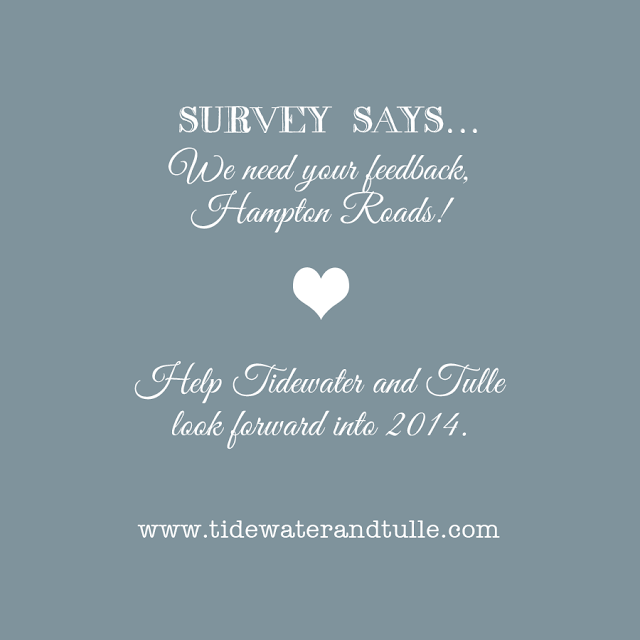 Tidewater and Tulle is a community. And because of the community, we love the diversity that comes with it. We want to be completely representative of all of what Hampton Roads has to offer brides, grooms, and vendors-- all styles, all weddings, and all ideas! Thank you so much for allowing us to inspire you and serve the 757!